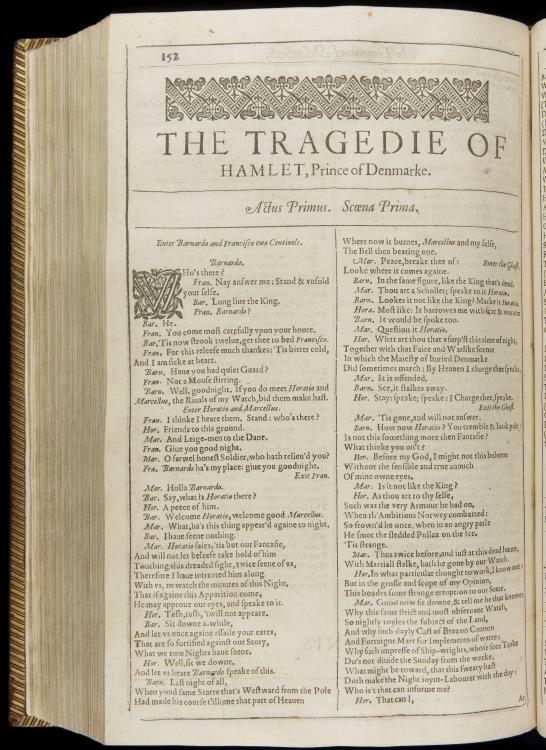 Even at their most unwieldy, books today tend to be more portable and less cumbersome than the most prestigious book format of Shakespeare’s time, the folio. 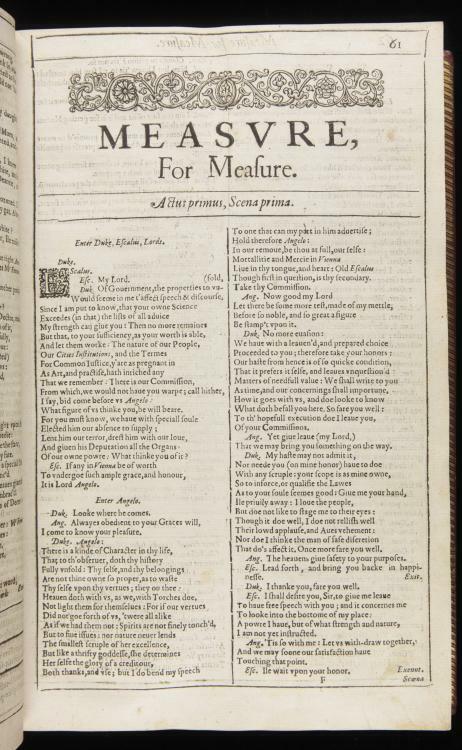 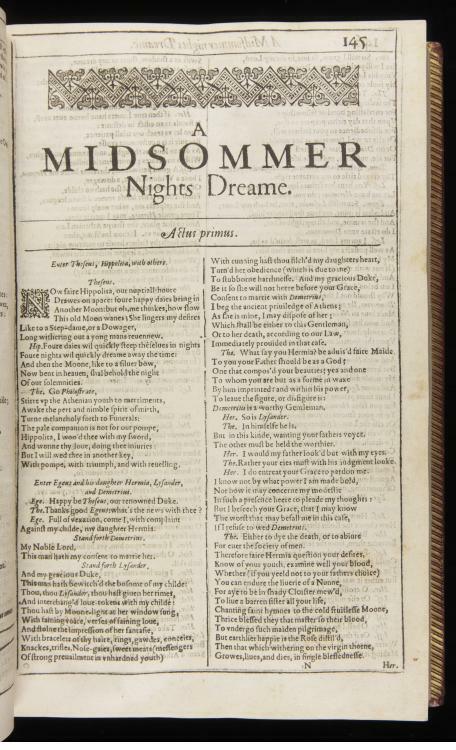 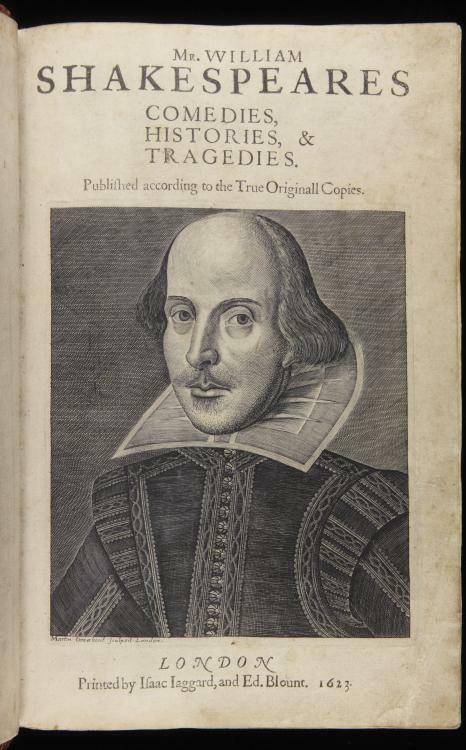 Weighing several pounds, the First Folio of Shakespeare’s collected works, published in 1623, outsizes the pamphlet editions of his plays and poems by a considerable margin. 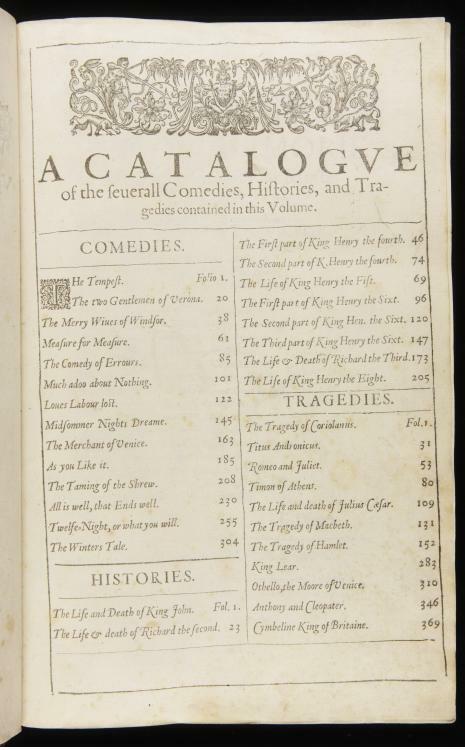 One can imagine the excitement of buying such a thing; to place it on a tabletop or a bookshelf, just within view of one’s dinnerguests, was to announce a fuller engagement with England’s burgeoning literary culture than any quarto or octavo ever could. 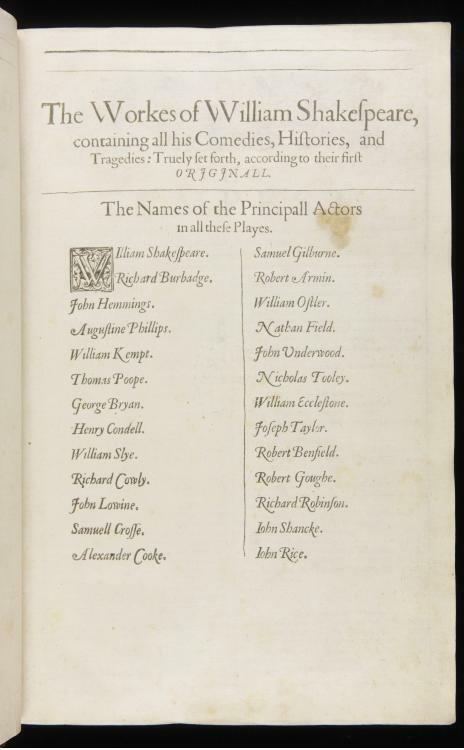 But to purchase such a book in the first place demanded certain luxuries. 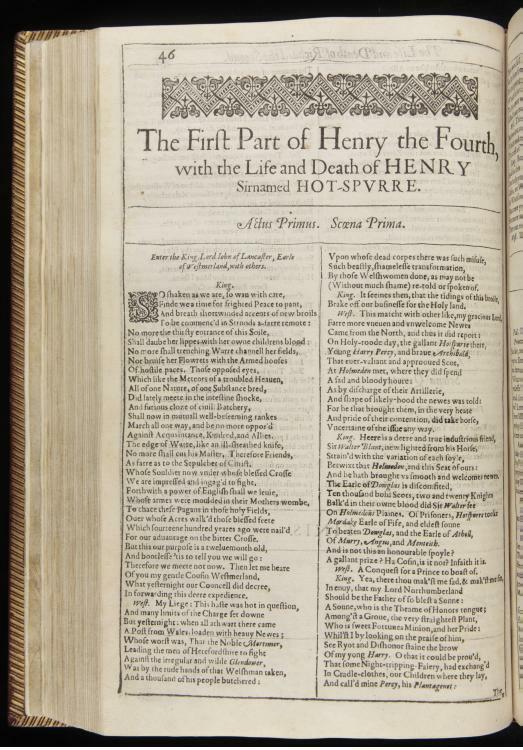 Price was one; folio editions cost a considerable sum when compared with an early pamphlet edition of, say, 1 Henry IV. 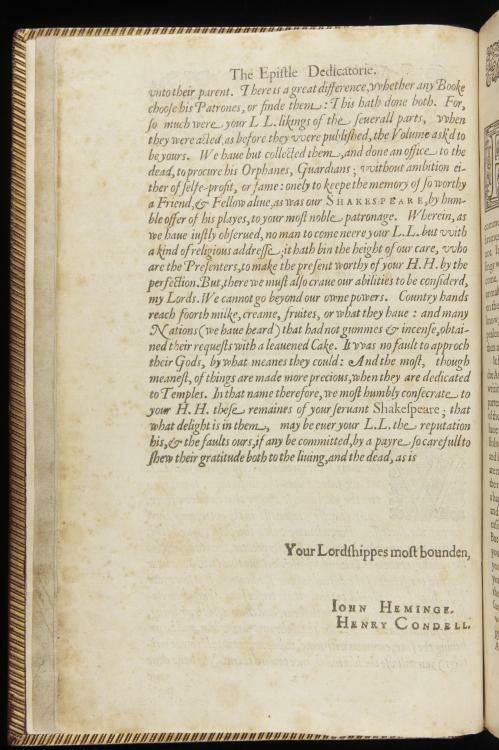 Space was another. 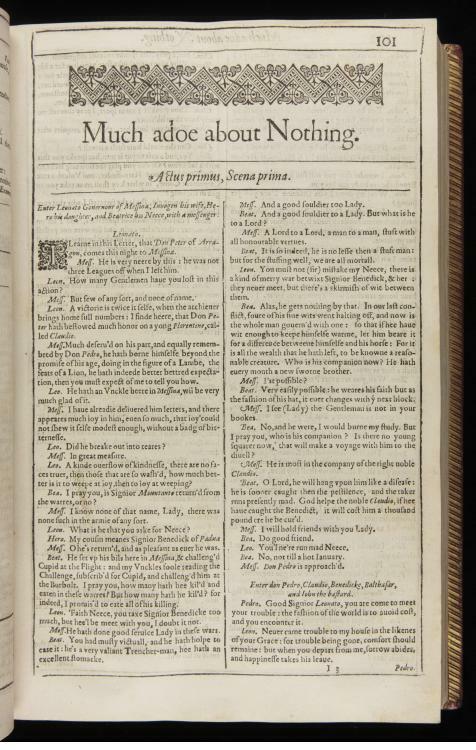 The largeness of the first folio, comparable to modern encyclopedias, meant that an expansive surface, such as a study desk or other tabletop, was required to read it; the heft of the book meant that walking around with it, or placing it on one’s lap, were not likely options for reading it. 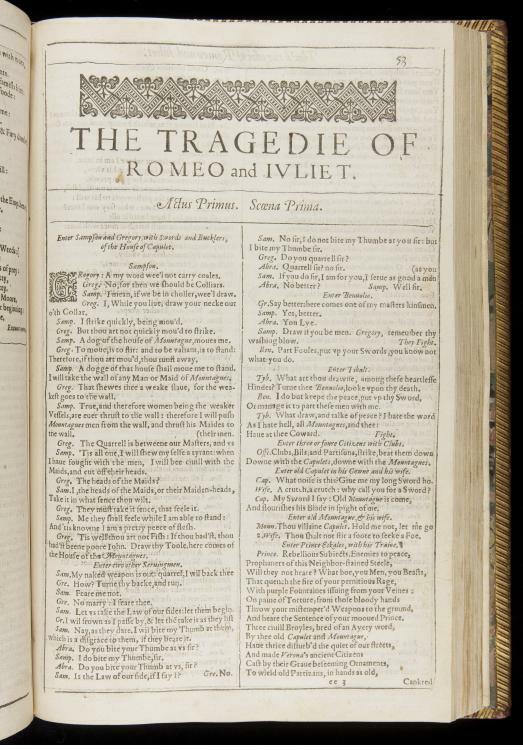 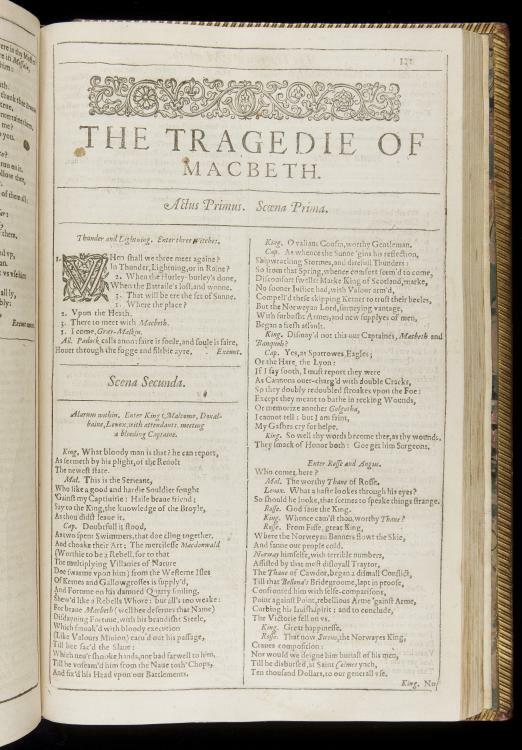 The reader had to sit at something like a study to really pore over the plays–thirty-six in all–contained within the First Folio.